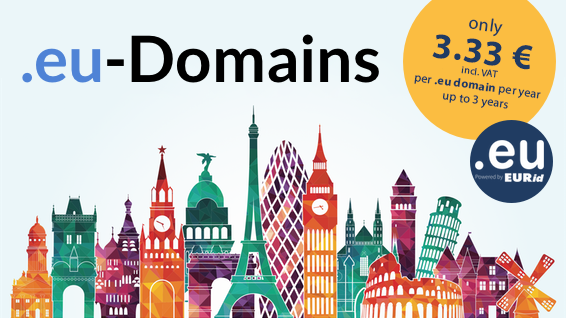 Register today one, two or even more .eu domains at Joker.com for the legendary price of 3.33€ per year, per domain and for up to three years. Domain renewals starting from 4th year: 7.68 € per year (incl. 19% German VAT). Promo prices only valid from September 1st 2018 until November 30th 2018. Net prices: 2.80 € in the first 3 years, 6.45 € afterwards.